The GFx320 has third-party certifications for use in hazardous areas, allowing for quick leak detection while maintaining safety. The GFx320 visualizes small hydrocarbon leaks with the sensitivity needed to meet the US EPA's OOOOa methane rule. Designed with the operator’s comfort in mind, with features that allow you to maintain three points of contact during operation. 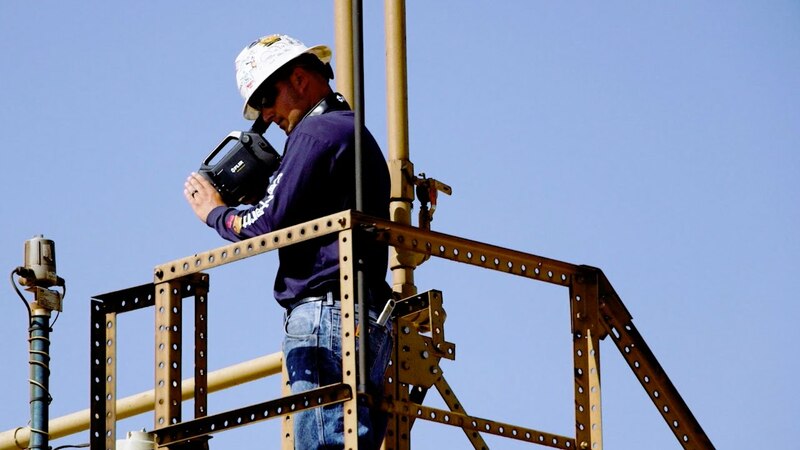 With its superior resolution, thermal sensitivity, and the option of a High Sensitivity Mode, the FLIR GFx320 allows you to visualize leaks so you can pinpoint the exact source of the emissions and begin repairs immediately. In addition, the GFx320 can accurately measure temperatures, allowing you to note temperature differentials and improve visual contrast for better gas plume detection.